The ad hominem fallacy, or personal abuse involves a gratuitous and irrelevant attack or slur on a person's character. An attack which is irrelevant to the substance of the debate or discussion. 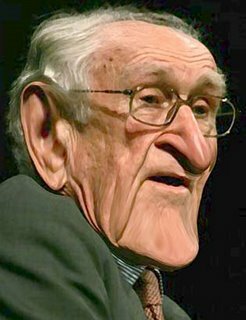 The picture opposite is of a former Australian Prime Minister, Malcolm Fraser. Mr Fraser was a crap Prime Minister. In support of this contention, I would like to point out that Mr Fraser is sometimes known as Mr Poopy Pants. On the face of it, the picture itself seems to be insulting, and so does the nickname. Anyway, even if some would characterise my post as a gratuitous ad hominem attack, Fraser is a total wanker and tool and he deserves it. Take that, Mr Poopy Pants!